This call is an open invitation to scientists and professionals working in the fields of bioinformatics and computational biology to submit high quality proposals for Applied Knowledge Exchange sessions (formerly called Tutorials and Workshops) at ISMB2016. A list of AKES presented in 2015 is available here. 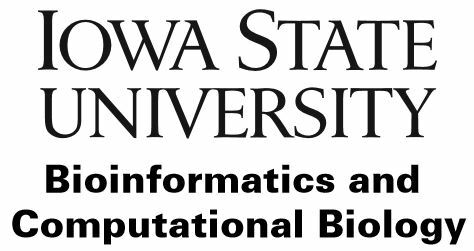 The purpose of this program is to provide participants with information and instruction covering "cutting-edge" topics relevant to the bioinformatics field. For research-oriented topics, these sessions offer participants an opportunity to get an introduction to important established topics in bioinformatics, to learn about new areas of bioinformatics research, or to develop advanced skills in areas about which they are already knowledgeable. These do not necessarily need to be primarily research oriented, but may also serve to bring together people with common interests to discuss, debate and problem-solve defined topics. Applied Knowledge Exchange sessions may include any form of presentation such as brief talks or panel discussions. They serve an educational function and are expected to provide a balanced perspective on a field of research. They should not focus on the presenters' own research or software, unless balanced with other tools in the same realm. Sessions on broadly used bioinformatics tools (UCSC, Galaxy, Cytoscape, etc.) will be considered. Please note that if you wish to focus your talk on a specific software package less widely used, your proposal should be submitted to the Technology Track. Bringing together people with common interest for discussion will be considered for acceptance. Proposal submissions should be received by Monday, January 25, 2016. Proposals should not exceed a maximum of 4 pages, and must include a detailed description of the session content. You will be asked during the submission process to provide a description of the session that can be used to promote it to delegates. Please adhere to the page limit, but provide sufficient information for a thorough evaluation to be made. It should be clearly and precisely indicated at whom the session is aimed, and at which level it would be taught with respect to the different underlying scientific fields. In particular if any background (biology, algorithmics, statistics, etc) is expected, this should be very precisely described. Where appropriate, indicate whether the material is considered Introductory, Intermediate or Advanced or Broad Interest. Each session should have a minimum of two organizers and/or presenters. Based on feedback received from earlier years, please note that in general graduate students are not permitted to participate as instructors. A brief description of the organizers indicating the relevant qualifications to the proposal. Where appropriate, a brief description of the presenters indicating the relevant qualifications and teaching experience. Session attendees often consider the reputation and standing of the presenters as one of their criteria for choosing particular sessions. Please indicate whether the session has been presented at ISMB (or another meeting) previously. A brief reasoning for the value of this session to ISMB attendees at this time. Proposals must be completed using the MS Word templates provided. The final proposal MUST be uploaded as a PDF file only. When using the MS Word template, please ensure you convert it to a PDF before uploading. Submissions should be completed through this link. Copies of the slides in Powerpoint or PDF format for review and posting online. Copies of relevant articles/book chapters published by the presenters may be provided as Supplementary Information. Presenters will have to obtain copyright permission from their publishers, as required. Voice-over presentation recordings of AKES sessions: AKES programs will be recorded (using voice over presentatuion software) to serve as online learning tools following the conference. All presenters must agree to allow ISCB to post these recording of the AKES program as a requirement of acceptance. Examples of past recordings can be viewed here. The authors will grant copyright to session materials to the ISCB for a period to extend from acceptance through August 1, 2016, and they agree that their materials may be made available for use in perpetuity through ISCB. Click here to complete a submission for AKES.